Walk to whale watching - A must to do... Amazing! Hurray for Spring! 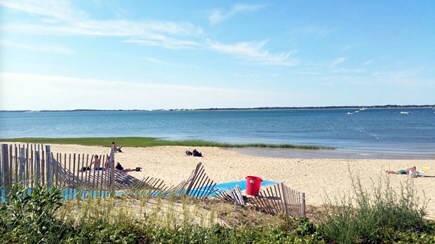 Come on out and visit Cape Cod this Spring and enjoy some sunshine and beach-time before the summertime crowds. We are flexible with check-in days, and shorter stays, and all visits before July 1st avoid the new short-term lodging tax. 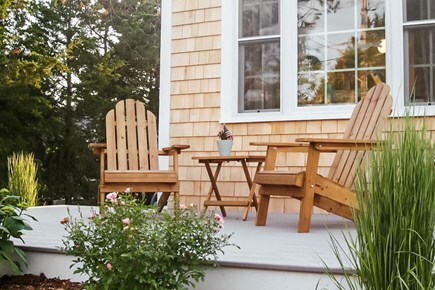 As seen on the pages of This Old House Magazine, The Cape Cod Times, and featured in a calendar of relaxing porches of Cape Cod, our cottage by the sea is the perfect place to spend your vacation. 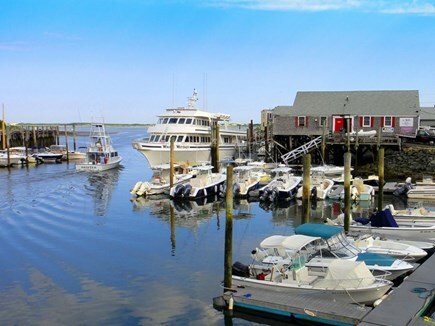 Surrounded by all of the beauty and charm of Cape Cod, and tucked into a quiet little neighborhood, there is so much to see and do that you could park your car and never use it again. Every detail has been thought of, with many personal touches that will make you feel at home from the minute you arrive including a special welcome basket. 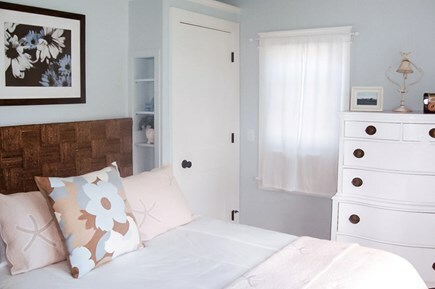 The cottage has all the charm of a boutique inn with the privacy of your own home. We live local, and are always happy to help you plan your visit with an insider's view to all of the best places to see and things to do while you are here. In addition to the reviews posted here, we have almost 70 five-star reviews on homeaway, and guest books filled with notes of thanks from happy guests. Beautifully decorated, super clean, comfortable 2 bedroom, 1 full bath home with central air conditioning, wifi, smart tv, linens, and washer/dryer all on one floor. 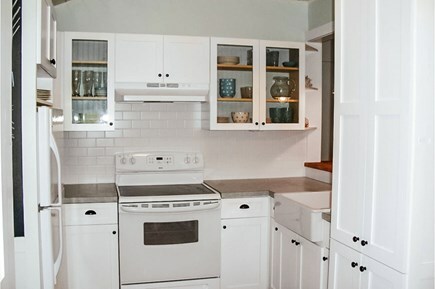 Enjoy family meals at home in our custom designed kitchen, or have a snack at the kitchen island. Relaxing porch out front, and deck with dining table and grill surrounded by beautiful gardens in the private back yard. Refreshing outdoor shower leaves the sand outside after a day a the beach. Additional pricing info: $125 cleaning fee - 14.45% Short-Term Lodging Tax - $400 refundable security deposit, State and local taxes of 14.45% will apply. My husband Steve and I fell in love with the Cape many years ago. We found ourselves drawn back time after time, driving through the night with our two boys still in their pajamas in the back seat looking forward to the relaxing days by the beach we would spend together. Ten years ago we decided to make Cape Cod our home. I am still discovering new and beautiful places, and smile when I drive along Route 6A past the rambling roses and hydrangeas bursting with blooms. I look forward to the changes that each new season brings. The long, lazy days of Summer... the color of the leaves in Fall and the crackling sound of the first fire in our fireplace. The beauty and tranquility of the first snowfall in winter, and waking up one morning after a long Spring rain and noticing that all is green again. 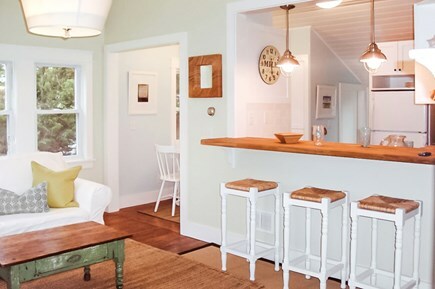 We found our little cottage by the sea and spent the winter of 2010 designing and building our vision of the perfect Cape Cod get-away. 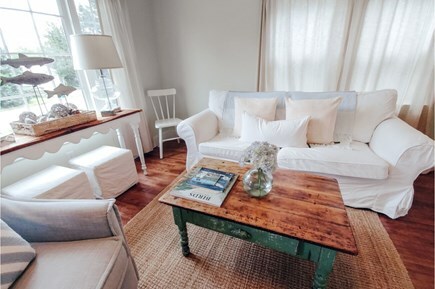 Having rented before, we wanted to create a place where you could relax, unwind and enjoy from the minute you arrived. 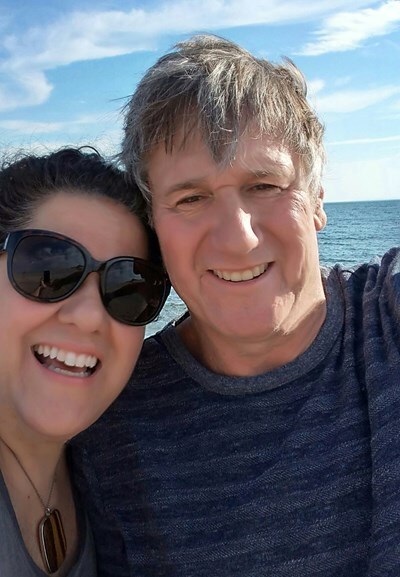 I hope you too will have many happy memories of sun-filled days and starlit nights and find as many reasons to fall in love with Cape Cod as we did! 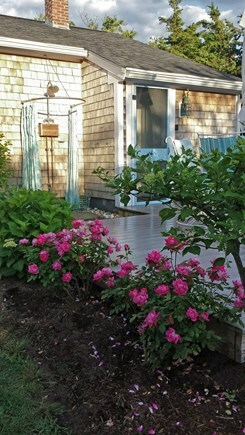 Our cottage is the perfect place to be close to all of the beauty of charm of Cape Cod, but tucked into a quiet little neighborhood. There is so much to see and do in our neighborhood that you could park your car and never use it again. Every detail has been thought of, and there are many personal touches that will make you feel at home from the minute you arrive. It has all the charm of a boutique Inn with the privacy of your own home, and I am always available to help you plan your visit with an insider's view to all of the best places to see and things to do. 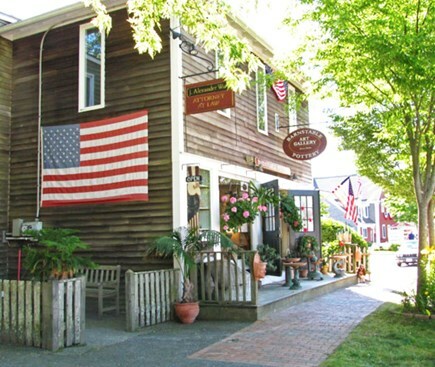 Barnstable Village has something for everyone, and you can walk to everything from our cottage! Millway Beach is just down the road, with a beautiful view of Sandy Neck Lighthouse. The beach is sandy, and the water gentle. Walk to Millway Marina for charter fishing, restaurants and ice cream, public boat launch too. 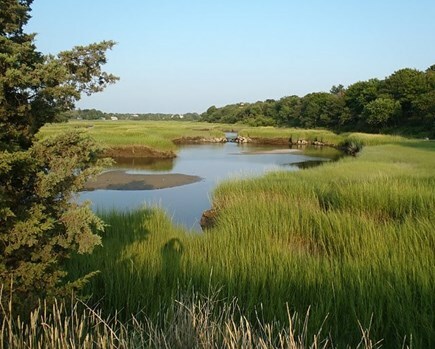 Put your kayak in the saltwater marsh and head over to Sandy Neck, do some fishing, dig for clams, or just relax. A short walk past the marina is a playground for the little ones to enjoy, and then head to Main Street for shopping, restaurants, antiques, museums and more. Haunted and history tours also available, and organic farm to pick up some local grown fruit, veggies and flowers. There is a farmers market in town in-season. 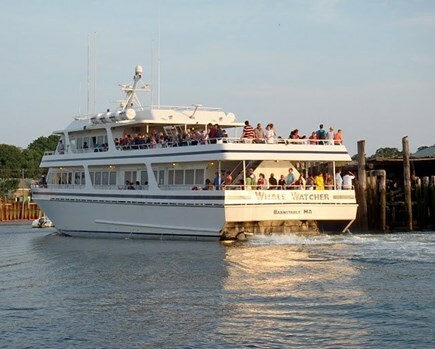 Located Mid-Cape, it is an easy ten minute drive to Hyannis for nightlife, ferries to Martha's Vineyard and Nantucket.